Sunrisers Hyderabad won the match by 11 runs. Sunrisers Hyderabad won the match by 11 runs against Rajasthan Royals at Sawai Mansingh Stadium, Jaipur. Kane Williamson was awarded the Man of the Match for his responsible innings that took the visitors to 151. Team Circle of Cricket gets down to list the 5 talking points of the match. Sunrisers Hyderabad had a steady start in spite of Shikhar Dhawan getting out early in the innings. Shikhar Dhawan was bowled by Gowtham on 6 runs. Alex Hales, who had replaced Nabi, gave a steady start to his team with the captain Kane Williamson batting like a rock. Both of the batsmen made a serene progress after Dhawan's early dismissal with scoring a stand of 92 runs for their team. Shikhar Dhawan has not looked really comfortable after he came back from his elbow injury. His ill form will be a serious issue for Sunrisers as he is a magnificent striker of the ball. Rajasthan Royals bowlers bowled quite well in the first 10 overs of the game. Sunrisers Hyderabad accelerated their innings with Kane Williamson scoring a beautiful half-century for his side and debutant Alex Hales also giving his partner a helping hand before Gowtham took his crucial wicket. The duo added 92 runs off 67 deliveries for the second wicket partnership to set up a good platform for their middle order batsmen to score heavily. Kane Williamson's good form in the tournament continues as he scored yet another half-century, showing that his form is still wonderful and that he wants to lead his team from the front. 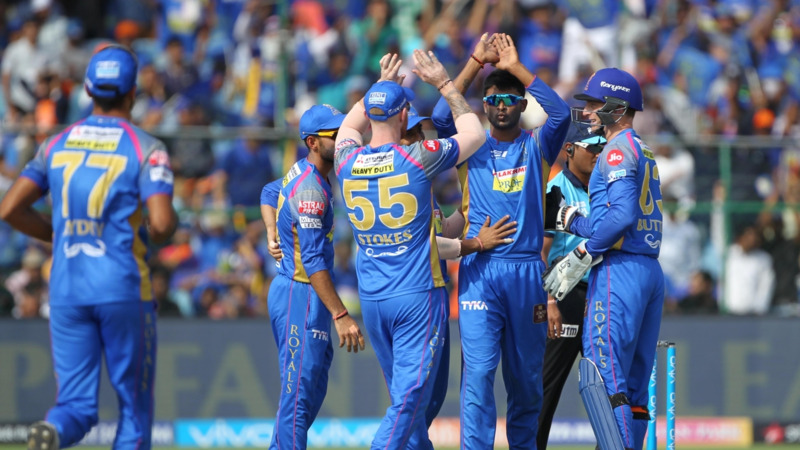 Both the star players of Hyderabad, Alex Hales and Kane Williamson fell in a quick succession that led Rajasthan to move forward in the match. Despite a strong partnership from the duo, Rajasthan bowlers had a command over Hyderabad. 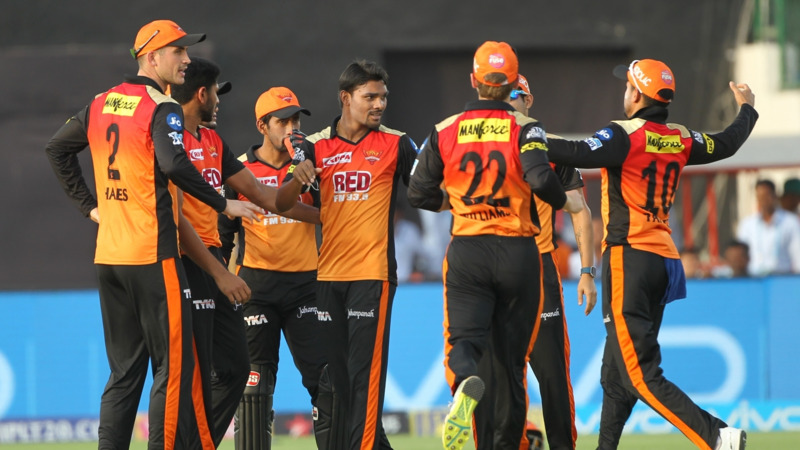 Ish Sodhi took the important wicket of Kane Williamson as his maiden IPL wicket to pull back things and K. Gowtham also bowled a spectacular spell to make things worse for Sunrisers Hyderabad. Jofra's triple strike made situations more difficult for the visitor to galvanize their batting strength and hence due to lack of skills they were restricted to 151. After Samson's departure, as always SRH bowlers turned the game for their side with 3 quick wickets in their kitty. The English cricketers Ben Stokes and Jos Buttler had another disappointing show returning early to the pavilion. Sunrisers bowlers hit the right deck to restrict Royals of Rajasthan. Sandeep Sharma with figures of 1/15 in his 4 overs bowled excellently to limit the RR scoring. Despite Rahane's captain knock, it was Sunrisers Hyderabad bowling that triumphed, as they were backed by their exceptional fielding. Sunrisers Hyderabad beat Rajasthan Royals by 11 runs to record their third consecutive win while defending a total. They outplayed Rajasthan Royals on their home turf and defended a target of 152 easily to top the points table of IPL 2018. Sunrisers Hyderabad is unstoppable this season with bowling and fielding their main strengths. 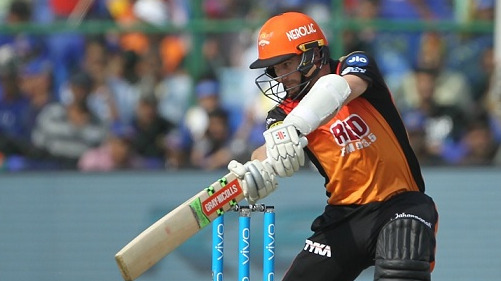 It was Kane Williamson and the bowlers who starred in SRH's win.